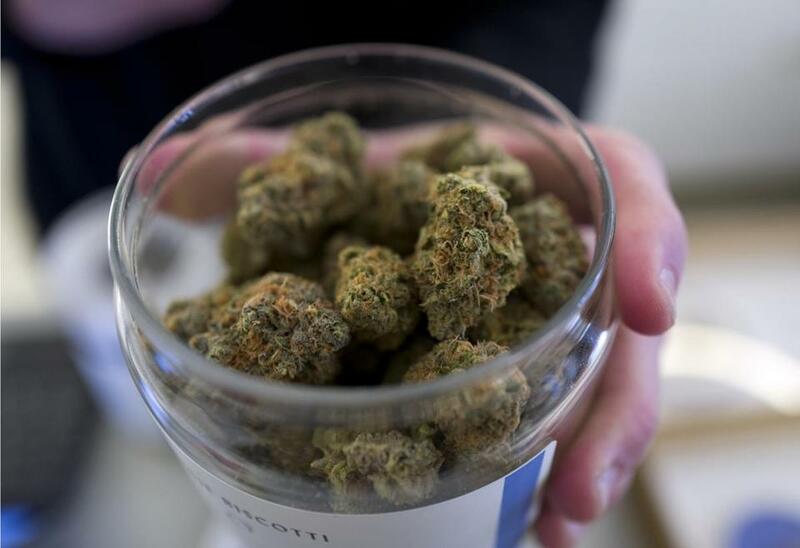 A bud tender shows a top cannabis strain at Serra a dispensary in Portland, Ore.
HOUSTON — A California man has pleaded guilty to accepting $5,000 in bribes to assist marijuana smugglers in a case linked to a former Border Patrol agent in South Texas. Prosecutors in Houston on Monday announced the plea agreement with 46-year-old Daniel Hernandez of Roseville, Calif. Hernandez, who’s identified in court documents as a registered nurse, pleaded guilty last week to conspiracy to bribe a public official. Prosecutors didn’t immediately provide details on the Border Patrol agent. Hernandez, who faces up to five years in federal prison, is described as an associate of the agent. Investigators say Hernandez and the agent, between 2013 and 2014, gave drug traffickers information on law enforcement sensor locations, keys to locks on ranch fences along the border, and radios used by Customs and Border Protection agents.